Dave Masters is in his 27th season involved in Connecticut High School Athletics. 2019 begins his fifth year leading the Trojans after starting as a varsity assistant coach at Simsbury in 2003. 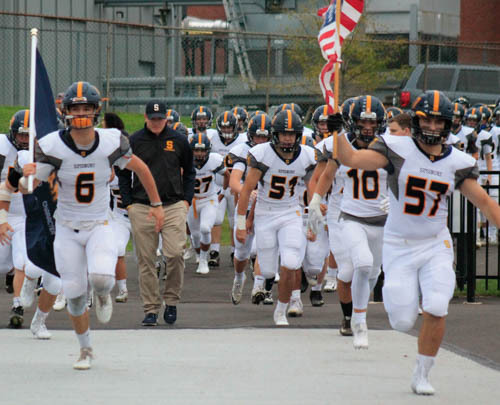 The Trojans completed the 2018 season with 5 straight wins in the tough CCC Division 1 North and over the past three season the program holds a record of 17-13. Simsbury also kept the Valley Gridiron Classic Championship for the third year in a row, beating Avon 42-6. 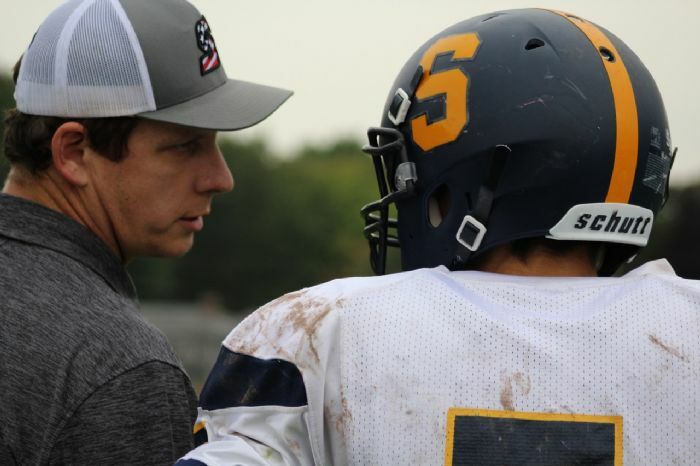 Coach has also served as an assistant for the Connecticut State All Star Football Team in 2008, 2009, 2010 & 2016 and as a varsity assistant at Hall High School from 1993-2000. Coach Masters is the currently the CCC representative for the Walter Camp Football Foundation. Coach Masters is also the varsity head baseball coach at Simsbury. The 2019 season with be his 9th at SHS. 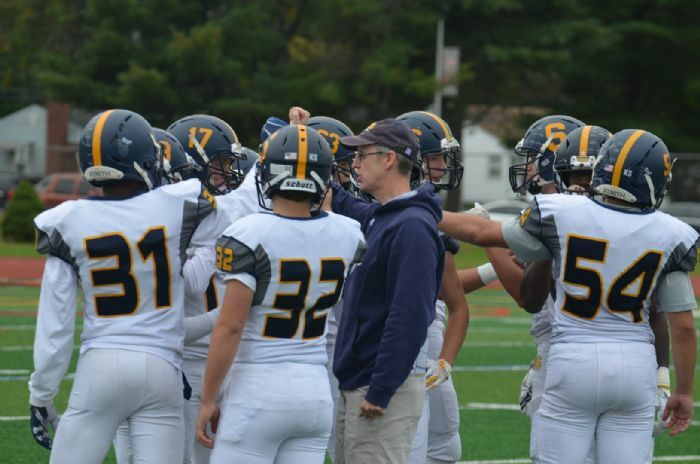 Coach has 214 victories as a head coach in Connecticut and the 2018 season had the Trojans as the CCC West Champions with a conference record of 8-1. 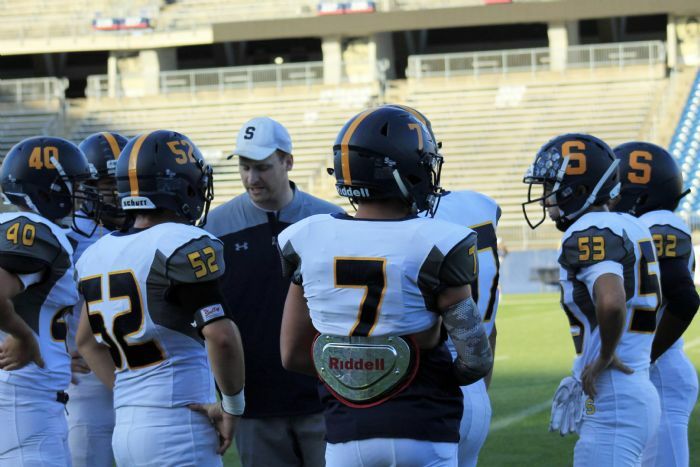 At the helm for Simsbury, Coach Masters has led the Trojans to an 99-75 record with a birth in the state tournament and a win in 2011, 2013 and 2018. In 2014, 2015 and 2016 the Trojans went to the quarter-finals and two semi-final appearances in the LL state tournament. 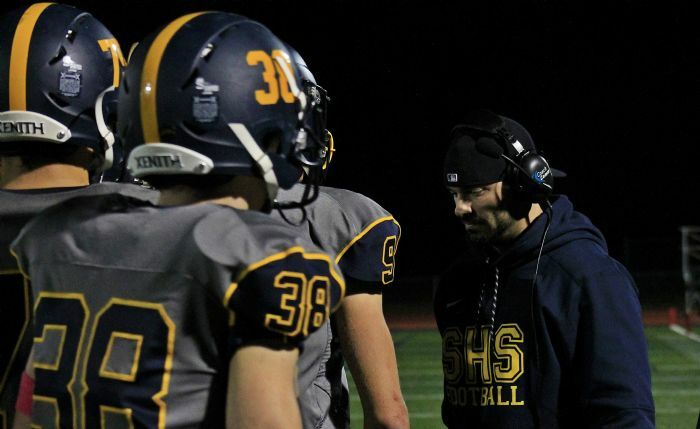 Prior to taking the job at Simsbury, Coach Masters spent 12 years as the head coach at Hall High School in West Hartford. His Warriors captured the CCC West League Championship in 2009. Additionally, Coach Masters served as the head coach for the 2014 and 2015 Connecticut District 1 Senior All Star Team and has served as the head coach and assistant for the Connecticut High School Baseball All Star Junior Select Team 2010-2013. Coach has also served as CCC West League Chairperson since 2007. Also in Simsbury, he served as the junior varsity hockey coach from 2005-2009. Coach has been an educator in the West Hartford Public School system since 1993 where he teaches physical education. In the West Hartford system, Coach Masters gained coaching experience having served as a varsity wrestling coach (1996-1998), varsity hockey assistant (2000-2004) and JV lacrosse (1994-1997) as well as his tenure running the baseball program at Hall from 1999-2010. He also coached baseball and basketball in Somers, CT from 1991-1993. 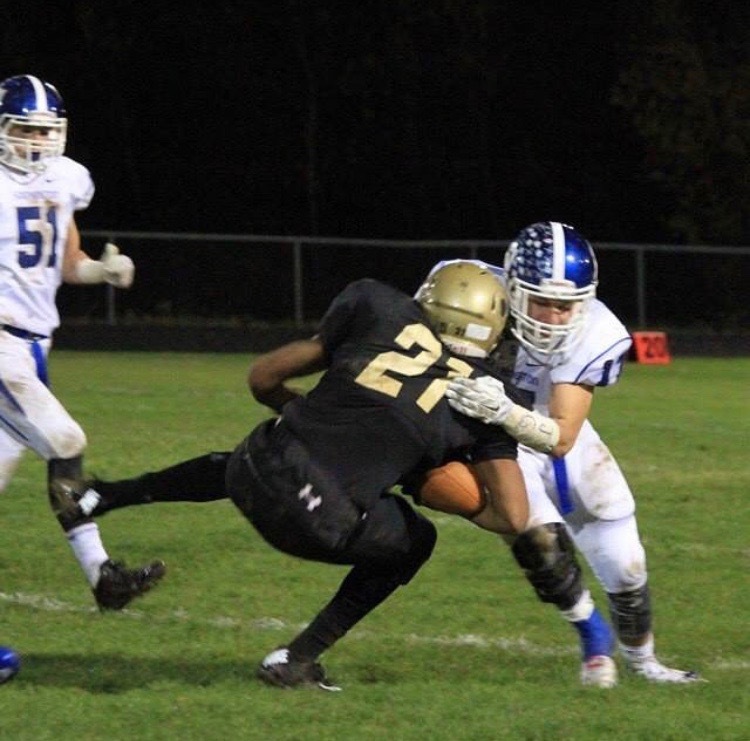 Coach Masters is from the Finger Lakes Region in New York where he played football, basketball and baseball, earning honors at the state and league levels for baseball and football. Coach played amateur baseball in the summer thru college. Coach Masters attended Springfield College where he played football and earned his degree in K-12 Physical Education. His graduate work was at Central Connecticut State University where he earned his Masters degree in Educational Leadership. Coach Masters resides in Simsbury with his wife and two children. Coach "Moose" is in his 5th year as the leader for the Trojan offense. Moose has built an offense that saw 2017 set numerous individual and team records for Simsbury High School football. 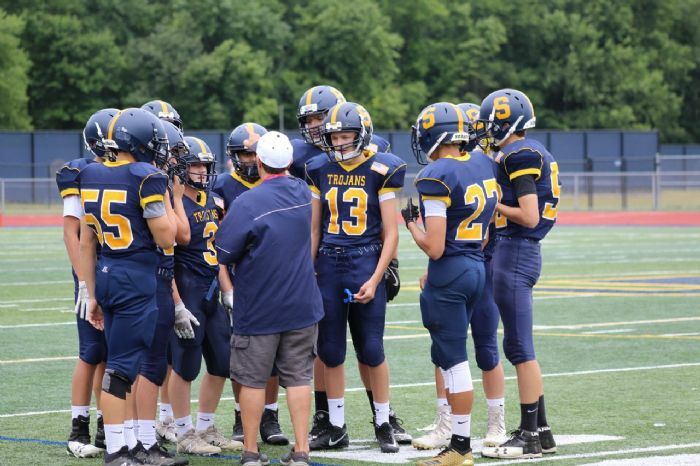 Coach Moose played at Southington and his coaching path has made stops in Southington, Sheehan and Avon Old Farms before landing as the OC in Simsbury. Moose coaches the QB's and acts as the program's assistant head coach. Coach Malcuit joined the staff in 2017 and instantly provided a boost to the Trojan defense. Acting in his role as co-coordinator the strong rise of the defense was evident as we finished the season allowing only seven points in the last three games. Coach Malcuit will take over the coordinator's job for our special forces units in 2019. Coach joined us from New York where he coordinated a defense and served as an interin head coach. 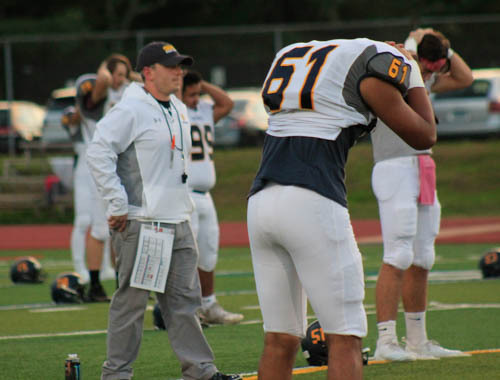 Coach Furey serves as the defensive coordinator and the transformation of the defense was evident in the success of the program in terms of wins and the numbers put up by the tough Trojan D. Mike was a standout LB for the Trojans in high school before going to Stonehill to play college ball. Coach Furey was a defensive coordinator in Massachusettes before joing the staff in 2016. Mike lives in Simsbury with his wife and children. Coach C spent his playing days dominating the Central Connecticut Conference playing for New Britain in their prime. Nick went on to CCSU as a receiver and set records for the Blue Devils. 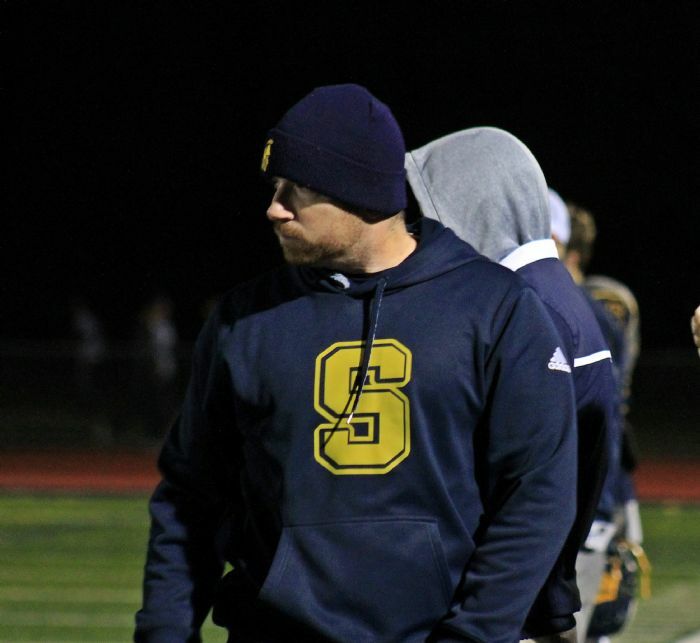 Coach C has served as an assistant with Hall and New Britain before coming to SHS in 2015. Under his tutelage his receivers have set record after records for the Trojans. Jeff Wilkins is a former player at SHS that has come back to coach for the Trojans. Jeff comes for a year at Canton High School before joing the family in 2016. 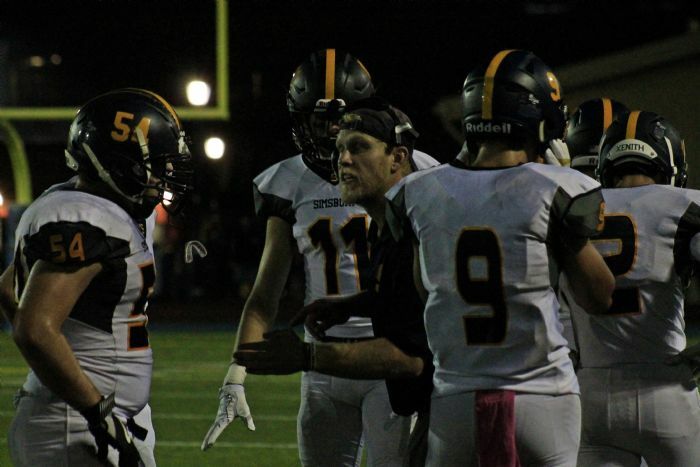 Coach Wilkins is a tireless worker and dedicated to his boys on the offensive line. Jeff will expand his role as the leader of the JV offense in 2018. Tim was an All State LB for the Trojans in 2004. He went to Ithaca to play baseball and ended up back in Simsbury for his work. 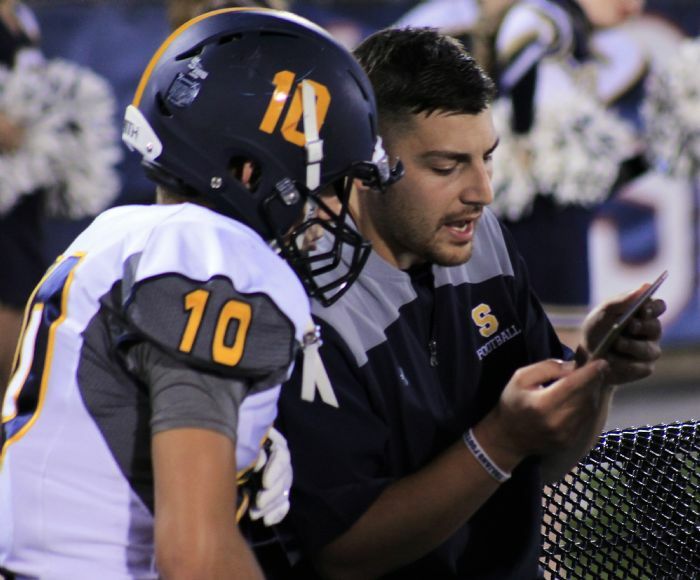 Coach Fogarty has now been on the SHS Trojan staff since 2013 where he has filled many roles , including stints as the defensive coordinator. Coach Fogarty is lives with his wife and son in Simsbury. 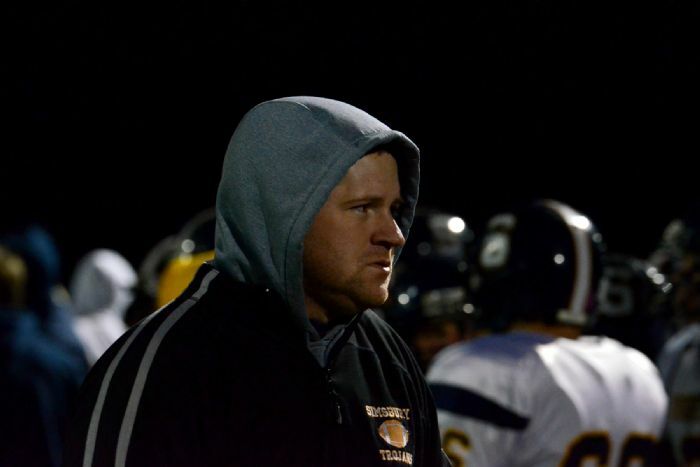 Craig Wilson has been involved in one way or another with Simsbury football since the 90's. He has been a player, coach and recently on the sideline as our statistican. Coach Wilson is coming back to coaching in 2019 and will serve as our running back coach and assist with our outside linebackers. Coach Ladas will join the staff in 2019 as the defensive line unit leader. Coach comes to Trojan football off a stint as the defensive coordinator at Cohnichaug High School. He also has experience coaching in Berlin where he was a state champion as a player in 2009. Coach Hamel will join us in 2019 as a LB coach and work with both the inside and outside guys. Coach Hamel recently graduated from Keene State and played his high school football as a Southington Blue Knight. Where he was a state champion in 2013 & 2014, a two time All Conference OLB, defensive MVP and 2nd Team All State in 2014. Coach Woof has been with the family for three seasons. He has been an assistant and took over as the head frosh coach in 2018 where the freshmen team went 9-1. He was an offensive lineman at Division 1 Liberty University in VA.
Coach Helmkamp begin his coaching career in 2018 with the Trojans after a successful four years at Ithaca College where he played football for the Bombers. He coaches our defensive line and TE's. "Doc" Sullivan has been iwth the program for four years and comes to us with coaching and playing expericence at the college and high school levels. He serves the Trojans as our "character coach" as well as an assistant to the defensive back units and contributes to special forces and JV family. 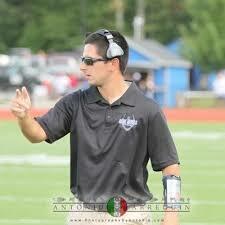 Coach Matteo has served as a JV coordinator, varsity assistant and now primarliy runs the defense for the freshmen. Ed is a SHS alumni and was an outstanding athlete for the Trojans. Ed also is the leader for the rugby program at Simsbury where he lives with his wife and family.